I just received the sad news that my friend and colleague, Alf van der Poorten, passed away on Saturday in Australia. Alf (or "vdp", as he was sometimes called) specialized in number theory, and he wrote about 170 papers on the subject, specializing in continued fractions, elliptic curves, transcendence, Diophantine approximation, and recurrence sequences. He had dozens of co-authors, and he especially liked to write with his Macquarie colleague John Loxton and with Bordeaux mathematician Michel Mendès France. 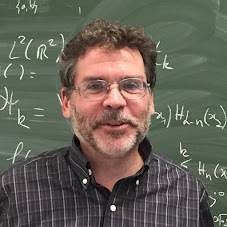 Alf wrote a book, Notes on Fermat's Last Theorem, which was published by the CMS in 1996, and was co-author (with Everest, Shparlinski, and Ward) of another, Recurrence Sequences, published by the AMS in 2003. We had vague plans to write a book together on continued fractions, but we never did. We did, however, write four papers together. Among number theorists, Alf was an "original fini", as the French say. His talks were often accompanied by transparencies lettered in Alf's distinctive hand, full of quotations and puns. (A book that he co-edited in honor of the computational number theorist Hugh Williams was called High Primes and Misdemeanours.) Some of his papers contained limericks -- and not always in good taste! One of his most-cited papers was just called "Folds!". He loved the mathematical typesetting system TeX passionately, and developed a large set of his own arcane macros, which sometimes made collaboration difficult. Alf was born during World War II to Jewish parents in Holland who gave him up to another family to protect him from the Nazis. But they all survived the Holocaust, and Alf was reunited with his parents after the war. They moved to Australia around 1950, and Alf got a Ph. D. in mathematics from the University of New South Wales in 1968. He taught at Macquarie University for many years, and, after retirement, ran his own Centre for Number Theory Research out of his home in suburban Sydney. Alf spoke English with a distinctive mix of both Dutch and Australian accents. More information about his life can be found here. Alf and his wife Joy welcomed me during my only visit to Australia back in 1991. I spent a month living on the campus of Macquarie University and working with Alf on continued fractions. One of the papers we wrote concerned the continued fraction expansion of numbers such as 2-1 + 2-2 + 2-3 + 2-5 + 2-8 + ..., where the exponents are the Fibonacci numbers. Working with Alf was a lot of fun. He would gesture languidly in the air with a cigarette-laden hand, moving quickly from topic to topic: Australian politics, other mathematicians he had known, an idea for our latest proof. Alf knew a lot about many different subjects and had a quip or story ready for almost anything. He had phenomenal mathematical intuition and nearly always found the right path to a solution, but he wasn't always rigorous when he wrote up his results. One of his celebrated papers, about the transcendence of automatic numbers, contained a serious flaw which he was never able to repair. Alf travelled a lot. We worked together at Dartmouth College, and later, when I moved to the University of Waterloo, he came for one of the CMS meetings. During one of his visits, he told me about his clogged arteries. He had been walking along when suddenly he found himself unable to speak. He sat down on a bench and was taken to the hospital, where it was found that an important artery was nearly completely blocked. After surgery he made a full recovery and continued to do mathematics. More recently, he had surgery for cancer of the lip (where a cigarette had always rested in the past) and eventually developed the brain cancer that killed him. At one of the CMS meetings dozens of mathematicians signed a card for him. 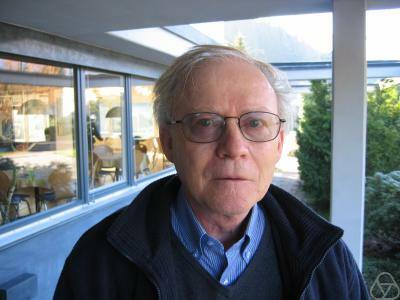 Alf was active in the number theory community and served as president of the Australian Mathematical Society from 1996 to 1998 and won several awards, including the George Szekeres medal. I will miss him. Thank you for writing this tribute to Alf! As a former student of his, I was perhaps too naive mathematically (and perhaps socially) to appreciate all of the character that was Alf. His colleagues and friends recount a different side of Alf that I was only tangentially aware of as a student. But I do nevertheless remember him fondly for his highly entertaining talks and for promoting the idea that one must always "sneak up" on a mathematical problem and to not scare it away with too much machinery. Thanks again for taking the time to remember him so honestly and vividly. Alf sounds like a great character. I'm glad you had the opportunity to work with him. Anyone who loves TeX gets points in my book. What is an automatic number? An automatic number is one whose base-k expansion is generated by a finite automaton. The automaton should accept the base-j expansion of i and return the i'th digit. Jeff, thanks for posting this tribute to my colleague, Alf van der Poorten. If you instead require that the continued fraction should be generated by a finite automaton, what do you get? Jeff, Heartfelt thanks for writing this lovely tribute for my father Alf. This memorial and the comments and emails of his colleagues from all round the world have been a great comfort for Joy and the rest of us. After a difficult couple of years it is nice to remember the old Alf in all his wit and glory. Long may he live in everyone's memories. I am saddened to hear of Alf's passing. We often shared a wry smile and his ready wit made each encounter one to remember. He was a polarizing and charismatic individual. His farewell letter to "friends, colleagues and coconspirators" was a classic. Bon voyage Alf, we are the better for having known you. I first met Alf when I came to the University of New South Wales in 1974. Like Alf, I was not one those people who knew from age 5 that they wanted to be a mathematician. I came to UNSW to do a science degree, and could easily have gone into biology, chemistry, or physics. However, the moment I saw Alf walk into a crowded lecture theatre of 300 noisy undergraduates, light up a cigarette, and, with a few quite words of command, bring the room to silence—at that moment, I knew I wanted to be a mathematician. the overhead projector in his characteristic crisp calligraphy. It was Alf who showed me that mathematics could be beautiful and deep—and suave and sophisticated. Quiet Sun' (or one of his copies, at any rate). Actually, it's quite a coup to have one of Alf's books, he's very posessive about them. Once when I was leaving his office with a mathematics book he stopped me to make sure his name was in it. There was indeed a name in it—George Szekeres's, to be precise. referee during the entire match (which, of course, St. George lost). I first encountered Alf's unique style when I was on the Australian IMO (math olympiad) team and a few of us came across his wonderfully entertaining paper on Apery's proof of the irrationality of zeta(3). I assumed from his name that he was Dutch, and was then pleasantly surprised when shortly thereafter I went to the IMO team send-off reception to find that Alf was there and that he lived and worked in Sydney! He told me what the p-adic numbers were, and told me that if I was ever so inclined that I should come and spend a summer working with him at Macquarie (literally, he said that if I ever wanted a job that I should call him up and ask). I took him up on his offer at the end of my first year at Melbourne University, and spent six weeks in his office annex learning about elliptic curves, the Riemann-Roch theorem, the Weil conjectures, and, of course, a lot of great stuff about recurrence relations (Skolem-Mahler-Lech) and continued fractions. I also spent a non-trivial amount of time playing a game called "daleks" that was on the Macintosh SE on my desk (Alf's old computer). Near the end of my visit I had succeeded in surpassing all the previous high scores. Then, during one of my conversations with Alf in his office, I discovered that he also had daleks on his newer computer, and his current high scores put mine to shame. I also remember the time he came in briefly to work and announced that he was going home again to watch the cricket! I never saw him give any formal lectures, but we had conversations that ranged over many topics, from mathematical cranks to the personalities of various famous mathematicians, from how to pronunce "Thue" (Too a, or not Too a?) to finding all elliptic curves of conductor 11. I always appreciated the time he spent talking to me - it was clear that he cared a great deal about young Australian mathematicians. I'm sure I picked up my frequent use of te phrase "a priori" from his papers, although I haven't used "inter alia" as yet. Having planned to visit Sydney next year for the first time since '95, I'm very sad that I won't get a chance to catch up with Alf. I will always remember him fondly. My condolences to Alf's family. My only correspondence with Alf came while a graduate student at the University of Waterloo in Canada. Alf posted me a hard copy of his beautiful paper titled "A dozen years is but a day" which he cited in his wonderful book on Fermats Last Theorem. Certainly, my dozen years (4 undergrad, 2+6 grad) as a formal student of pure mathematics in Canada seemed to last but a day...cheers to Alf's legacy! Alf van der Poorten was a decent person. Why? He apologized to me for his probably biggest blunder "Some determinants that should be better known", blunder which found its continuation in "Five surprisingly simple complexities" and beyond, e. g. as "personally liked miscellaneous", stubbornly upheld by authors of lesser decency. Klaus: could you tell us what the error was? Is there a correction somewhere?